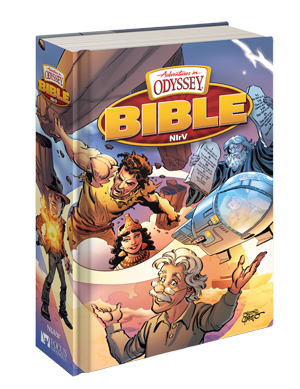 Is anyone else interested in buying AIO's newest Bible? What do you think about it? I actually don't hate the (new) art featured in it. But it looks like they are still using their current art as well. Personally, I think this is on of FoTF's better ideas as of late, and I plan on getting a copy to add to my collection. =) I might get the Italian Leatherette Edition too (when it comes out), but we'll see. Last edited by snubs on Tue Jul 25, 2017 2:03 pm, edited 2 times in total. I saw this the other day and am interested in getting one for a friend's son who likes AIO. I need an excuse to buy one so I can look at it too. I like the idea, and I hope that it's well done. I certainly expect that it should be a great resource. So I bought the AIO Bible! I think my favorite thing about it is that it's full color. It just looks and feels higher quality, and is much more appealing. I would love it if they came out with a new Official Guide that was full color! That would be awesome. Paying the extra cost would be worth it for me. Wow, that does look really nice! Thanks for sharing, snubs. I still haven't bought a copy, but I plan to. Maybe this is my reminder. Looks cool, it'll tide people over until the Top Bible comes out. There's plenty of room on the market for both of those products! I know that I would be pleased to showcase those two items side by side.